The Canon EOS 1300D packs in all the fun of photography, which is why we recommend it to users looking for their very first EOS DSLR camera. It uses an 18-megapixel APS-C size sensor and the DIGIC 4+ image processor – which even professional photographers recognize as high performance with core features. It also has abundant auto shooting features and is compatible with over 70 EF/EF-S lenses, allowing you to take beautiful photos like a professional, regardless of subject and genre. Wi-Fi and NFC compatibility allows easy file transfer to other devices. All the more convenient for sharing those wonderful photos on social media. 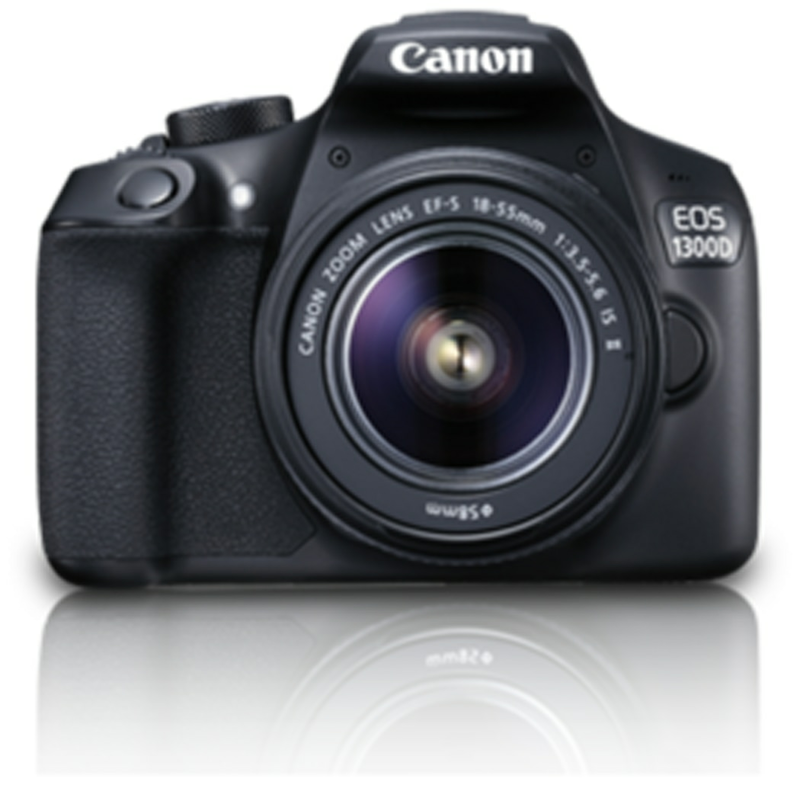 The Canon EOS 1300D was introduced: a starter model SLR camera with few new features and a very attractive price. It’s the successor to the Canon EOS 1200D (February 2014), which was sold in large numbers. Canon EOS 1300D and 1200D have the same sensor and image processor. The appearance is also practically the same. Canon EOS 1300D (EF-S 18-55mm f/3.5-f/5.6 IS II Kit Lens ) Digital SLR Camera price in India starts from Rs. 23,388. The lowest price of Canon EOS 1300D (EF-S 18-55mm f/3.5-f/5.6 IS II Kit Lens ) Digital SLR Camera is Rs. 23,388 at amazon.in.